In December, I missed my usual monthly round-up of my book reviews that appeared on Euro Crime, so now that January is over, I’m posting a double dose. Clicking on the title of the book will take you to the review. I’ve listed them roughly in order of enjoyment, with “most enjoyed” first. Purely by coincidence, there is a bit of a World War Two theme to this selection. Operation Napoleon by Arnaldur Indridason, translated from Icelandic by Victoria Cribb. Standalone thriller about a secret World War Two mission in which a plane crashed into a glacier and has only now been located. Bernadette has also recently reviewed this novel (see Reactions to Reading), as has Rob at The View from the Blue House. A Jew Must Die by Jaques Chessex, translated from French by W. Donald Wilson. Novella-length fable about the evils of Nazism. There is an interesting recent post at the Allison and Busby blog about translated titles, using this book as an example. 1222 by Anne Holt, translated from Norwegian (possibly Swedish) by Marlaine Delargy. Agatha Christie homage set in snowed-in mountain hotel. One of a series featuring Hanne Wilhelmsen, this one is by no means the first but the first to be translated into English. Bunker by Andrea Maria Schenkel, translated from German by Anthea Bell. Claustrophobic novella about a kidnapping from the alternating perspectives of perpetrator and victim. All my Euro Crime reviews are archived here. An archive of almost all of my reviews is here, categorised by country, genre, etc. Reviews of some other books I’ve read recently are below this post, so do scroll down for more recommendations. Game wardens are unique because they can legitimately be involved in just about every major event or situation that involves the outdoors and the rough edges of the rural new west. They’re trained and armed law enforcement officers, and nearly every human they encounter in the field is armed, which is unique. Often, they’re too far from town to call backup in an emergency so they’re forced to deal with situations with their experience, weapons, and wits. Their districts can encompass 5,000 square miles of rough country filled with wildlife, history, schemes, and secrets. By necessity, they’re lone wolves. The first three novels have contained some recurring, strong themes: the beauty of the country, as seen through Joe’s eyes – unsentimentally but with complete appreciation; Joe’s family life – he is married to Marybeth and they have three children as well as often having Marybeth’s difficult mother to stay; and the tensions Joe feels as he strives to uphold the law that makes the forest environment and wildlife sustainable while having to live in a local community of hunters, fishers and strong individualists who have moved to the remote hamlet of Saddlestring, often to get away from the excessive interference (as they see it) of the authorities, so not of a helpful temperament from Joe’s perspective. The character of Joe Pickett is, in a way, the antithesis of many modern literary protagonists. He’s happily married with a growing family of daughters. He does not arrive with excess emotional baggage, or a dark past that haunts him. He works hard and tries, sincerely, to “do the right thing.” He doesn’t talk much. He’s a lousy shot. He’s human, and real, which means he sometimes screws up. 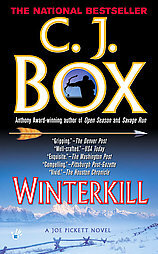 In Winterkill, there is not much mystery about a crime which Joe stumbles across during the course of his duties. His boss at the US Forest and Fishery service goes apparently mad, shooting up a herd of wild elk – but is himself killed before Joe can take him into custody. The case is taken over by the cardboard Marianne Strickland, a 100 per cent bad bureaucrat who arrives with her own little dogs and tame “lifestyle” journalist in tow. Strickland is in charge of investigating anti-government conspiracies, which with her preconceived notions she sees everywhere. While Joe is paying a sympathy call to the new widow, and before anyone can catch their breath, Strickland identifies and jails a local survivalist and falconer, Nate, for the crime, seemingly entirely on the basis of Nate’s lifestyle. Of the posse who arrested him, Nate identifies Joe as the only decent person (i.e. he did not beat him up and destroy his possessions), eventually managing to convince Joe he is probably innocent and to help him (and feed his birds). The other main thread of this novel concerns April, the young girl whom the Picketts took in at the end of the first novel and who is by now a daughter to them. Here, April’s mother has returned to the area as part of a convoy of survivalists and refugees (some from Waco and Ruby Ridge) who camp illegally in the forest. Joe and Marybeth have to give up April, they hope temporarily, stepping up their long legal battle to adopt her. Strickland, in the meantime, sees the campers as an ideal target and decides to use another forest crime as an excuse to attack them. Joe is on a race against time to find the real criminal(s) before this happens, not only because he sympathises with parts of the campers’ predicament but also for April’s sake. It’s a sad story, the author using it to highlight his concerns about federal government shortcomings and institutionalised bureaucracies, as well as the painful struggles of the adoption process that hardly put the child’s best interests first. There is also the usual theme of Joe standing up for what is right with very little support from any of the townspeople, let alone the sheriff, a man with whom Joe has scores to settle. Some of the novel is a bit clunky, such as when Nate tells Joe the history of Strickland and her even more evil sidekick, but the story flows well and is both exciting and affecting. These novels are unpretentious and direct, displaying real humanity and conscience. They are extremely easy and effortless to read, yet they are dark (darker than the reader might anticipate at the start). I do find they justify the use of force as a solution too much for my taste (or in other books, contain unnecessarily protracted violence) but overwhelmingly I highly recommend this series as an impressive mixture of realistically lived lives, personal integrity and a beautifully conveyed sense of “place”. Author website, including information about the Joe Pickett series. Other reviews of Winterkill are at: Book Reporter, Pittsburgh Post-Gazette, USA Today. 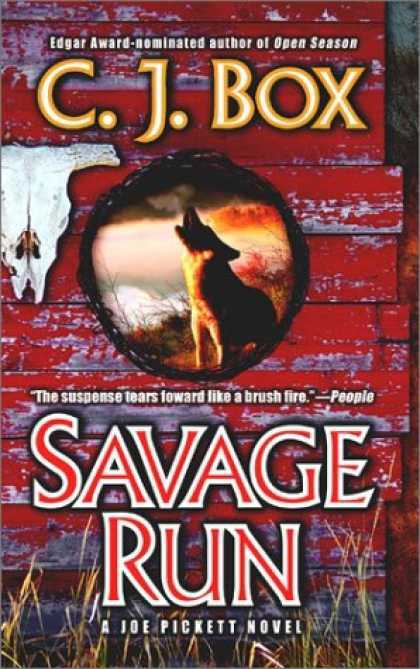 My reviews of the first two novels in the Joe Pickett series, Open Season and Savage Run. As a reviewer for Euro Crime, the superb free website/database for information and reviews about crime fiction, I recently selected my favourites among the books I’d reviewed for the site last year. The selections by all the year’s Euro Crime reviewers can be found here, but I thought I’d reprise my choices on this blog, as well as adding the non-European books I reviewed in 2010 that I enjoyed the most. The novel opens with a highly unpleasant interrogation of a man called Arthur. Two other men yell obscenities at him in an attempt to get him to admit something, Arthur is not sure what. Eventually, Arthur is forced to drink some coffee and falls into a stupor. He is bound and taken, along with other prisoners, to a secure institution, the “Facility” of the title. If I were to reveal more, I might be spoiling the book for you, so I won’t say why people are being kept in this place. I can say, however, that Arthur believes he is there by mistake, and so does his wife Julia, who enlists the help of hapless journalist Tom to promote Arthur’s cause. Julia, an American and the most interesting character in the book, is determined to expose the recent UK Security Act which gives the authorities the right to imprison individuals indefinitely, for no stated reason. She is armed by proof – a surveillance video of Arthur’s abduction, which otherwise would have been denied by the authorities (yes, it is that kind of book!). Tom, led by his hormones, begins to investigate and is gradually convinced by Julia’s case. Interleaved with this quest is an account of Arthur and his fellow-inmates, as they come to realise the function of the Facility and what they are doing there. The prison chief, Henry Graves, is content at first to run a tight ship at the behest of a typically unpleasant government minister, but the arrival of a rival commander, with a completely different agenda, throws him somewhat more than out of sorts and into a rather unconvincingly described change of course. 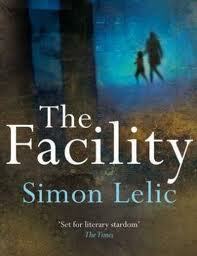 The Facility is not a crime novel, it is part science fiction and part socio-political fable. Although there are one or two moving moments towards the end, the plot is completely predictable from the first page to the last. The theme is a well-trodden one, having been done very well, for example, in the excellent The Unit by Ninni Holmqvist, and a lot less well in (the awful, in my opinion) Under the Skin by Michel Faber. It has its origins in classics such as One Day in the Life of Ivan Denisovich, The Castle, and Animal Farm. I was disappointed in The Facility as I had loved the author’s debut, Rupture (A Thousand Cuts). Sadly, in The Facility, the writing is uneven and I found most of the situations (car chase, London train-station scene, etc) and characters (the prison inmates and guards, the journalists, the politicos, the 100 per cent efficient, sinister security forces) to be over-familiar and cliched. About the book at the author’s website. Read other reviews at: Goldsboro books, Farm Lane books and Metro. My Euro Crime review of Rupture, the author’s excellent debut. 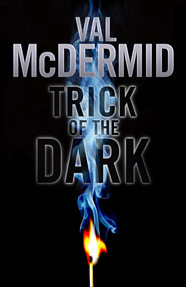 Val McDermid is an intelligent, professional author at the top of her game. She certainly knows how to write a commercial book that is controversial, exaggerated (even totally over the top) yet cosy – no blood and gore here. A groom is murdered during his wedding reception. The bride, Magda, has immediately begun a passionate lesbian relationship with a high-flying dot-com businesswoman, Jay. Magda’s mother, Jay’s old Oxford college tutor, is distraught about the relationship and asks another one of her ex-students, Dr Charlie Flint, to find out whether Jay really did commit a crime in her undergraduate days. Charlie, another lesbian who is in an apparently blissfully happy relationship with the wholly decent Maria, a dentist, reluctantly takes on the job. She (Charlie) likes Magda, who she knows via babysitting for Magda’s younger siblings while a student. Charlie is currently suspended from her regular work, so takes on the commission, largely because she has a crush on yet another lesbian, Lisa Flint, who she met as a student on one of Lisa’s motivational workshops. Lisa lives in Oxford, so Charlie thinks she can combine her investigation into Jay with a bit of hanky panky with Lisa. The pace of this novel is blistering, as Charlie uncovers more and more suspicious information about Jay, later on with the help of the book’s sole decent male character, Nick, a policeman (who is decent only because Charlie has previously redeemed him). In parallel, Jay has agreed to write volume 2 of her autobiography, having earlier made a mint out of volume 1, a “misery memoir” of her ghastly childhood (inspired somewhat by Jeanette Winterson?). Excerpts from Jay’s new book provide the reader with tantalising hints that Jay has been involved in the deaths of at least four people in her past – deaths that have been advantageous to her. Once started, this is not a book that is easy to put down, so on that level, it is a success. But it is not a book that hangs together in any realistic sense. One problem is a dearth of suspects. If the reader assumes that Jay is so obviously the prime suspect that she can’t be guilty, there is only one other possible perpetrator. Other problems are that Philip, the dead bridegroom, is never described directly so is not in focus, yet his actions while alive are relatively crucial to the plot – this part of the book is unconvincing, especially the appearance and actions of the “spiv” who appears at Magda’s flat one night. Although three of the key characters (Charlie, Magda and Jay) are vivid when on the page, their emotional dilemmas (Charlie’s wavering between blandly good Maria and underdrawn siren Lisa; Magda’s guilt about Philip and passion for Jay) simply don’t engage off it. The main problem, however, is that the solution to the crime(s) means that the killer’s motivation in the bridegroom murder is completely illogical. In summary, this standalone novel is readable and slick – it’s a page-turner, but at the end one wonders whether there was much of substance in it, or whether the parody is intentional or unintentional (I assume the former). There is an initial dedication to the author’s old Oxford college, but the novel’s portrayal of it (or rather a similar, fictional one with a deliberately silly name) is hardly flattering. Other reviews of this novel are at: Crime Scraps, The Independent and Spinetingler magazine. Bitter Lemon Press, 2008 (UK), first published in Catalan, 2005. I highly recommend this engaging, readable book. The story concerns a couple of brothers (twins), Eduard and Pep. Eduard lives a “normal” life in Barcelona with his wife and three children; Pep, who previously disappeared for a long period, has reinvented himself as “Borja”, an impoverished aristocrat, and does not let Eduard tell anyone, even his wife, that the two are brothers. Borja’s name is not his only invention; he also owns a business that does nothing but has an opulent front. Eduard used to work in a bank but now “works” with his brother as his partner – they do small tasks for the rich of Barcelona, such as quietly selling assets on behalf of their owners. There’s a lot of back story in the first half of the book about the two brothers and their rather tragic boyhood, and about the social scene among the upper echelons of Catalan society. I loved reading all this, but if you like books that jump right into a fast-moving plot, be warned that the jewels in this novel (and there are many) are not of that variety. The plot-proper concerns a request to the brothers by a leading politician, Lluis Font. Font has discovered a portrait of his wife in an art catalogue. He has purchased the picture concerned, but wants the brothers to find out if there are any more of them, and if so to discreetly stop them becoming public knowledge, as this would cause a scandal and upset Font’s chances at party leadership. Always a month away from financial disaster and with Christmas coming up, the brothers take the commission and the associated ready cash, and begin to follow the wife. This provides the author with many excellent opportunities to present a scathing yet lightly amusing account of high-society life, exposing it as a nest of permanently shallow people obsessed with personal appearance and shopping for nonessential luxuries. Naturally, events escalate as the brothers find out more and more unexpected truths, culminating in a genuine murder case. There’s lots to love about this book, particularly the way the author combines a story about three generations of a family, with telling, witty portraits of all the characters. I suspect she does not put a foot wrong in her portrait of class snobbery or of social climbing, or of attitudes among the middle classes represented by Eduard’s wife and sister in law. Very few of the characters are well-read – Eduard had dropped out of his degree in Catalan literature in disgust after undertaking a survey to show that nobody in the department had actually read Don Quixote (which he himself found indigestible) – but he’s an educated man (his knowledge of the classics comes in useful at the end) and in his relative ordinariness and lack of eccentricity, an apt narrator. The only other “intellectuals” in the novel are the various police officers who appear now and again: everyone else is frantically pursuing courses of alternative therapies, beautification, watching football or other trivialities, causing Eduard to reflect on what the anti-Franco revolts of his youth had in fact achieved, as his city increasingly becomes an overcrowded, homogenised temple to Mammon, and where the very rich live in a bubble of their own creation, regarding everyone else, whether middle-class professionals or people living in boxes on the street, as poor and beneath contempt. 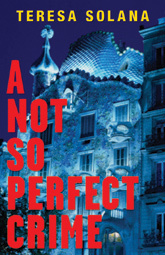 There’s much more to this novel – overwhelmingly, it has a wonderful sense of atmosphere so that the reader is totally immersed in Catalan ways and mores. I found the crime plot (after the murder is committed) less interesting, and wonder if the author could have got away without even introducing it. There is a rather hastily added denouement and a paragraph or two of moralising which is the only time the author loses her admirable ability to be serious with a light touch. One of the many positive aspects is that the story of the brothers (particularly Pep/Borja), though now revealed in outline, has many tantalising gaps and aspects (such as Eduard’s mother in law and Borja’s relationships with his mistress and Eduard’s sister in law) that have plenty of potential for future development. About this novel at the publisher’s website. Read other reviews of the book at: Euro Crime (Michelle Peckham), Reviewing the Evidence (Sharon Wheeler), Reactions to Reading, BookGeeks, Crime Scraps. Teresa Solana’s second novel, A Short Cut to Paradise, will be published in English translation in the UK in February 2011. The Spanish edition has been reviewed at The Game’s Afoot. The second novel about Wyoming game warden Joe Pickett not only meets the standard of the first, Open Season, but exceeds it. This series is shaping up to be highly readable. Savage Run has a simpler, leaner plot, without an element of “whodunnit” suspense, and without Joe’s children taking centre stage. The theme is (again) environmentalists versus ranchers/landowners, this time the environmentalists concerned are those who create a lot of publicity for their cause by breaking the law or protesting volubly. One of them, for example, attempts to fly a plane full of wolves from Canada to Wyoming, in order to reintroduce these animals into their “natural environment”. The author does not take sides, though his evident love for the land and its natural resources are very clear, and represented by his simple, direct hero Joe. Joe is perpetually torn between his instinctive sympathy for those in his community who are increasingly struggling to make ends meet as the land is bought out by rich corporations or magnates, and his strong disapproval of those who break the law he is employed to enforce, for example by hunting or fishing out of season. In Savage Run, extremist environmentalists are being ruthlessly targeted in various parts of the country. Joe and one of them, an entertaining (though initially irritating) character who turns out to have a previous friendship with Joe’s wife Marybeth, find themselves in an unlikely alliance, being pursued across the ravines and mountains by an adversary who seems to be a reincarnation of the legendary Tom Horn. Unfortunately there is some violence, but toned down compared with the first novel – I hope the start of a trend. I found this novel to be pleasantly engaging, telling a good story in an undemanding fashion. I liked the moral message and the small but important domestic dilemmas that Joe, a rather serious-minded character, constantly faces. His struggle to become accepted by the community in which he lives seems to be destined to failure, given his policing role – which he carries out with an assiduousness not shared by the sheriff or with other authority figures. I purchased the US mass market edition of this novel. It was first published in the USA in 2002, and is being published in the UK later this year by Corvus, together with the other novels in the series. Reviews of Savage Run are at: Allreaders.com (Harriet Klausner), Cat’s Meow Book Nook (!) and The Best Reviews. My review of Open Season, the first in this series. 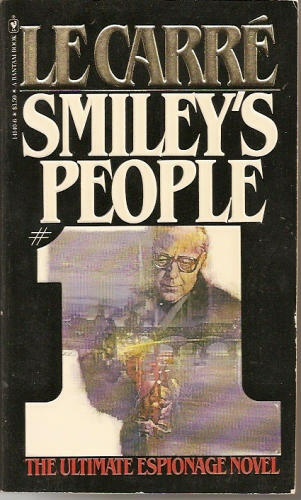 Having enjoyed watching the BBC adaptations of John Le Carre’s books Tinker Tailor Soldier Spy and Smiley’s People on DVD over the Christmas break, I thought I’d go back and re-read the novel Smiley’s People, first published in 1979. 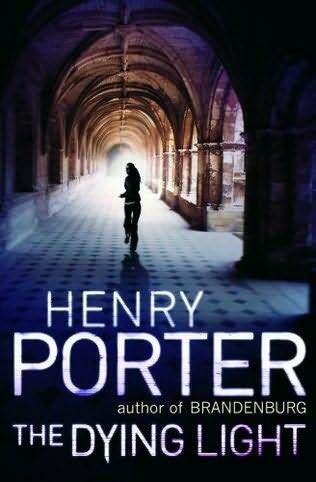 I chose this novel because against my expectations I enjoyed the TV series more than I did Tinker Tailor (it was the other way round when I first read the books, probably around the time of original publication). Le Carre, with John Hopkins, wrote the script of the BBC Smiley’s People, which perhaps partly accounts for its superiority, but also I think the plot is better. Tinker Tailor focuses on which of four people running “The Circus” (the British Secret Service) is a Soviet mole, and though the story is compelling as well as brilliantly acted, it is somewhat simplistic in outline. (The novel is better, being more layered.) Smiley’s People is constructed more as a classic detective novel, in which we do not know the central mystery until near the end (unless we guess it before the author reveals it) – but pretty soon we can see that it is both nested and, at its core, obscure. As the book opens, George Smiley is again retired, having reconstructed The Circus in the wake of the mole’s identification in Tinker Tailor, but having been elbowed out by the odious Saul Enderby while away in the Far East (a tale told the The Honourable Schoolboy, the middle novel in the trilogy – and a real favourite of mine). Smiley is called to a safe house by the home office security minister Oliver Lacon, where it emerges that an ex-Russian general in exile, “Vladimir”, has been shot on Hampstead Heath while attempting to meet a representative from The Circus to show him some vital information – information which is greeted with derision or total lack of interest when Vladimir makes initial contact to try to pass over the crucial evidence. Vladimir had been part of Smiley’s circle of informants, but in a round of cost-cutting, Lacon and Enderby had “let go” the old networks, so Vladmir’s adherence to the old procedures is considered mystifying or quaintly ridiculous. But when he is murdered, Lacon becomes desperate that news of Vladimir’s death is not associated with secret-service (botched) activity, and that no blame attaches to his department. He therefore assigns Smiley to “clean up” to ensure nobody who might know anything talks to the press or anyone else. Smiley is quietly furious about the treatment meted out to his old network, and sets out to find out what Vladimir had discovered that was so urgent. The rest of the book is told from Smiley’s perspective as he slowly and minutely follows up every train of thought and every possible shred of evidence, interviewing a range of tenuous and close associates of Vladimir and his circle in several European countries, ranging from an old Russian warehouse worker in Paris, to a long-distance lorry driver based in the East End of London, to a German night-club owner, and more. Gradually he uncovers more and more of a picture, bringing in the sparkling Toby Esterhase, now a shady art dealer, to help him in the end game, in a delightful sequence of cat and mouse as the old rejected guard, relishing its unexpected new relevance, closes in on the conspirators, orchestrated by Smiley. Apart from the tight plot, there are two other aspects of the novel that I liked a lot. Both concern Smiley, who is the heart of the book. First, Smiley is nearing the end of his days, and his thoughts (to which the reader is privy) are coloured by his gradual detachment from matters that did concern him intensely in his youth – his hopeless love for his flagrantly unfaithful wife Ann, his irritation with the petty ignorance and arrogance of the current Circus staff, and his reflections on what has been important to him as he looks back on his life – his love of German literature as a young man, and his research at the St James’s library for example. Second, is Smiley’s relationship with his nemesis “Karla”, which began as a straight war of wits, but by the final showdown at the end of this novel, Smiley is almost uninterested. As the novel closes, there is a final twist to the symbol of the cigarette lighter, and we witness in the background (through the filter of Smiley) the reactions of the Circus staff to events, but Smiley remains detached. The reader can decide for him/herself where Smiley has arrived on his life’s journey – does his reaction indicate his own disgust at his ruthless pursuit which has rendered him not much different from his enemy, as some have suggested, or does it indicate a more general detachment from the emotions and passions of life that concern younger people, that comes to everyone as they reach old age? Smiley’s People was written and set 40 years ago, in very different times – 10 years before the Berlin Wall fell, when the Soviet Union was a cruel enigma to the West, and before many of today’s technological marvels that we take for granted. Yet it is utterly contemporary in its analysis of national paranoia in the face of identified enemy countries; the plight of immigrants who flee from repressive regimes and try to settle in more palatable countries; our lack of ability to deal with injustice and cruelty in the world – when we find out about it. I read the first US mass market paperback edition of this novel (Bantam/Random House – UK publisher Hodder & Stoughton), purchased at the time, now yellowing with age and with multi-cracked spine. The flyleaf proclaims that “not a word has been removed” from the hardback edition, but even so some words have evidently been altered – for example when Lacon’s daughters play Monopoly, they argue about the rent payable on “Park Place”. Never mind, it’s an excellent book! The novel is still in print and can be obtained cheaply in online bookstores. Smiley’s People entry on Wikipedia, based on an essay by Neal Stephenson in The New Republic. The BBC version of Smiley’s People at the IMDB. The 6-episode DVD can be bought very cheaply, for example it is £4.99 on UK Amazon. In a nutshell, this readable novel (Orion, 2009) is about the not-so-gradual elimination of civil liberties in the UK over the past few years. The author imagines a state controlled by a corporation, which has government contracts (or even more influence, possibly) to infiltrate all informational databases, so that people’s every transaction and movement can be monitored to make society safer. The book is successful in conveying this concept, for the author is clearly on a hobby-horse and is very knowledgeable about the topic, describing several small but chilling examples to draw attention to what current legislation allows the UK authorities to do to individuals to make their lives miserable or even ruined. There is truth in this premise, as we who live in the UK have all experienced limitations in our privacy and personal freedom over the past 10 years in irritating ways – and the prevalence of CCTV has been oft-noted. Porter takes the premise even further, one example being the security services’ use of “drones”, tiny unmanned aerial vehicles that can follow people, or that hover over a meeting and spray the participants with a substance that enables them to be tracked subsequently. Drones, of course, do exist, so Porter has not extrapolated by much. The book would be just a lecture without a story to it, of course, and the action is kick-started by an inquest into the death of David Eyam, who has previously been head of the government’s joint intelligence committee but who suddenly quit and travelled to Colombia. While he was there, he was killed in a (presumed) terrorist bomb attack. One of the people attending the inquest is an old college friend (and more, it seems) of Eyam’s, Kate Koh (Lockhart), now a high-flying corporate lawyer: the opening section is mainly about her reactions to Eyam’s death, events at High Castle (the village on the Welsh borders where Eyam had retreated after his “retirement”), the bequest he made her in his will, and her gradual uncovering of a mass conspiracy aided and abetted by various locals who knew Eyam. There are obvious similarities to the David Kelly case, which adds versimillitude to the Eyam part of the plot. In a parallel story, we see events from the point of view of the prime minister John Temple and his various flunkies and cronies. Temple starts out as a charismatic Blair-like person (though one suspects of the other main political party) but evolves, or perhaps I should write mutates, as the book progresses. Again, the “insider” view of Chequers, Whitehall and the PM’s style of government is fascinating, at least until it all goes out of control in the last third of the novel. Although I enjoyed the book, and am glad I read it, for me it is not successful in two main respects. One is in its characterisations – everyone, particularly the male characters, is cut from the same template. The other is in the pacing – far too much of the plot is told in the form of “retrospective” meetings between various people who tell each other what has happened, what they think might happen, or what is about to happen. We read a lot of detail and are told things emphatically about a topic (for example the film that is shown at the inquest) only to have it all turned on its head later on in a rather perfunctory way. At the same time, the big “upcoming plot twist” that occurs about half-way through is far too obvious, and the main concept of the novel (what was Eyam really up to?) is too heavily signalled so the reader basically waits for everything to emerge, rather than experiencing much suspense. The goodies are thoroughly decent, being well-read academics who use libraries and do things like write books on the mathematical knowledge of the Assyrian empire in their spare time; the baddies are two-dimensional evil types. The security services are either fiendishly efficient (eg in the death of someone immediately after he tells Kate some essential information), or dreadfully incompetent, at the behest of plot requirements. The most successful part of the plot concerns the red algal crisis (very much in parallel with the 2007 UK foot and mouth virus outbreak that turned out to be due to contamination from a research laboratory) – but much of the main theme, concerning surveillance of people from High Castle and so on, seemed overlong and slow. It is intriguing to compare the premise, and (not entirely convincing) climax, of this 2009 novel with last year’s (2010) and ongoing real-life Wikileaks approach to public disclosure of classified or otherwise “secret” information. Despite the clunkiness, particularly of the final chapters, I enjoyed the book because of the author’s sincerity about his cause, which is to issue a wake-up call to us all for our complacency in allowing our governments to pass legislation that takes away so much of our privacy and basic rights to individual freedom. The afterward, invoking George Orwell, among other points explaining the title of the novel, is well worth reading. I read the Kindle e-version of this book which I purchased myself. Read other reviews of this novel at: Material Witness (the excellent review that convinced me to try this novel, even though I don’t usually read “spy/politics” thrillers), the Observer (review by the well-known liberal lawyer Michael Mansfield), The Independent, and Reviewing the Evidence, where reviewer Sharon Wheeler (as usual!) 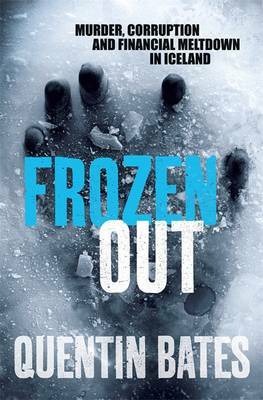 nails the book by calling it a “curious mix of clumsy and downright chilling”. Written in 2007 (publisher Little, Brown), Body Surfing concerns several of Shreve’s motifs – the story takes place on the New Hampshire coast; the protagonists are civilised, rich (or of sufficient means) attractive and improbably talented; some of the characters are academics in the Boston area; there are lots of sea glass and occasional references to other Shreve novels (for example, the Shoal islands which were at the centre of The Weight of Water, and the brief history of the beach house provided here indicates that it has been the scene of other Shreve novels such as The Pilot’s Wife); and, above all, there is genteel romance, sad but reversible tragedy, redemption and a dose of wish-fulfilment. It’s an easy, appetising whole, but one feels that life slips down easily for Sydney, Julie and even the two sons locked in Oedipal conflict, whose problems are entirely of the self-created variety. Sydney meets Jeff and Ben, the two older sons of the Edwardses who come to visit during the long vacation, liking one of them but not the other. Romance blossoms. Julie goes missing one night and is found dangerously drunk. Life continues. Then Julie goes missing for real and as a result, her parents have to face up to some realities that they had previously been able to avoid. Sydney’s own life seems to be heading, finally, for happiness but we can be pretty sure that her hopes will come crashing down to earth — but in sufficient time for her to find some comfort before the book ends. Although I enjoyed reading this book and was very absorbed in it, I do not feel that it is very realistic. When tragedies happen, the people emerge (in Sydney’s case in a highly unlikely, serendipitous interlude) into a better, happier place. Nobody seriously worries about having a roof over their heads or making ends meet. Julie does not just turn out to have a talent for art, she’s exceptionally good at it from her first attempt. When disappointed in love, Sydney has no difficulty in attracting eligible new admirers, whether or not she reciprocates. So despite some of the genuine emotions conveyed in this book (the death of one of the characters, for example) and a lovely, observational sense of place, the romanticised veneer detracts from believability – though I am not sure whether the author set out to write realism or a fable. I picked up this novel a few years ago as a proof copy on a “to go out” shelf at my office. It was reviewed by Kim at Reading Matters, and now, finally, I’ve read the book. 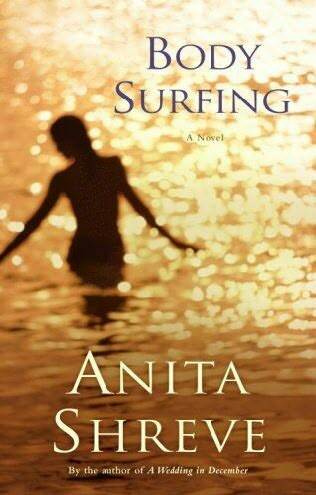 Read other reviews of Body Surfing at: Mostly Fiction, The Washington Post, and The Boston Globe (which picks up on the soap opera aspects).